Scaffold Logistics provides a full design and engineering service for all access and support requirements. We can ensure all regulatory, legislative and client requirements are met. We can provide 3D or 2D detailed design layouts, engineering certifications and build scope plans. 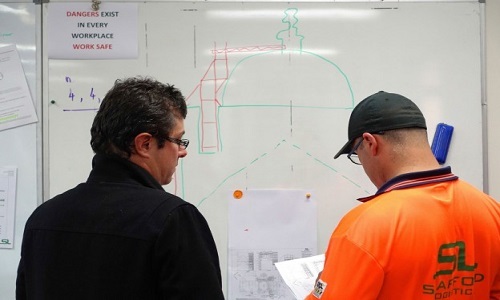 These plans ensure safety and efficiency are prioritised and enable all project milestones to be achieved. It is important to us that our clients feel confident their access programs have been understood by us and any potential issues have been recognised prior to project commencement. This improves safety control. Additionally, identifying operations helps our clients to independently monitor project progress. We endeavour to provide our clients the assurance that their project will be successful.